Essaouira, 모로코의 란 베르 | 호스텔월드에서 예약하세요. 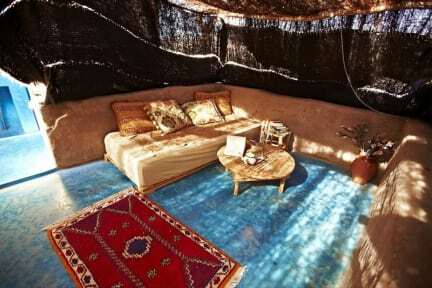 We are located 1 hour South of Essaouira, set in the heart of the Berber country side only 600m from a pristine beach, L'Ane Vert is the place for an authentic Moroccan Holiday. At L’Ane Vert we want you to experience something different to any other hotel or hostel. A place where you can meet people from all backgrounds and ages, all the while supporting sustainable tourism. All the products for the restaurant are sourced locally and used to create our fusion of Moroccan, French and South-East Asian Cuisine. We work directly with the fishermen, and locals to establish a restaurant that provides a gastronomical experience while supporting the local community. Come and relax in the hammock under the Argan tree or take your morning coffee on our terrace with a breath-taking view over the ocean. 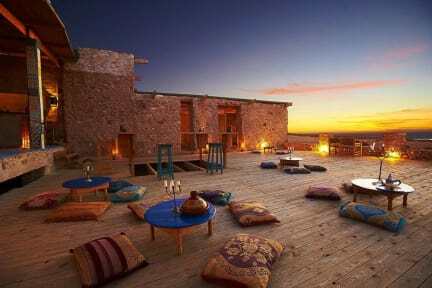 Offering incredible sunsets over the Atlantic with camels, donkeys and goats wandering past you are sure to experience a true Moroccan holiday at L'ane Vert. We offer surf board/wetsuit hire and are able to organise surf lessons with a local surf instructor. There are great surf spots along the Tafedna beach including reef and beach breaks suitable for beginners, pros and all those in between. L'Ane Vert also has an artist residence program that brings people from all over the world to work with the community creating art projects. Come and check out our current programs and maybe get involved!